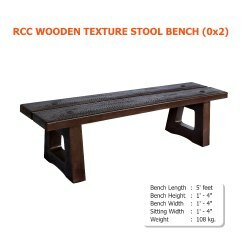 Offering you a complete choice of products which include rcc park bench, garden furniture, rcc stool bench and garden stool bench wooden texture. 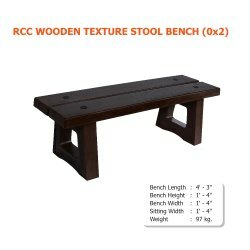 Product Area 4' - 3"
We are a prominent manufacturer and supplier of a high quality RCC Park Bench. 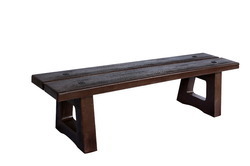 Crafted and designed under the strict supervision of our adept professionals, this bench is acknowledged for weather proof nature because of its excellent manufacturing materials. Apart from this, finest quality raw materials are used in the manufacturing of this bench which in result offers sturdiness in the design. 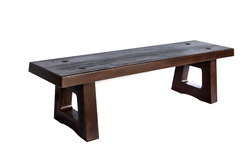 Our impeccable design bench is offered to our clients at most affordable prices. Features: High strengthSmooth surfaceImpeccable design. Note: Prices are negotiable and subject to changes.